The application data supplied serves as guide only. AUDI A3 Sportback (8PA) 1.9 TDI 09.04 - 05.10 77 105 1896 Hatchback. AUDI A3 (8L1) 1.9 TDI 08.97 - 07.01 81 110 1896 Hatchback. AUDI A3 (8L1) 1.9 TDI 08.00 - 05.03 96 130 1896 Hatchback. AUDI 1K0253115T, 7H0253115B. SEAT 1K0253115T, 7H0253115B. SKODA 1K0253115T, 7H0253115B. VW 1K0253115T, 7H0253115B. AUDI A3 (8P1) 2.0 TDI Hatchback Diesel 05/2003 08/2012 FWD 16 136 100. AUDI A3 (8P1) 2.0 TDI Hatchback Diesel 03/2006 08/2012 FWD 16 170 125. Part Number: 410524. 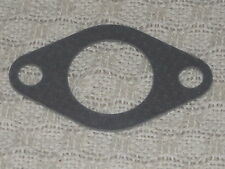 Gasket Type: 2 Bolt Gasket. Failure to do so will void your warranty. Our suppliers give 12 months warranty with all our products. FOR AUDI A3 8P. This is an original quality part manufactured by Elring. 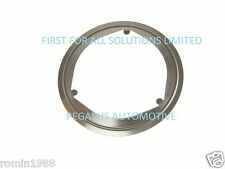 Multiple choices exist for:AUDI A3 1.6 Exhaust Pipe Gasket. Part specifications. Vehicle compatibility. PART CHOICE ALERT. Failure to do so will void your warranty. 2.0 TDI 103/140 06/0506/08. 1.9 TDI 77/105 09/0405/10. A3 Sportback (8PA). 1.9 TDI 77/105 04/08. 2.0 TDI quattro 103/140 01/0606/08. 1.9 TDI 77/105 05/0305/10. FOR AUDI A3 8P. This is an original quality part manufactured by Elring. Part specifications. Suitable for Part Number: BM91391H. Product Note: This is only suitable for our products. Warranty: N/A. RRP - £11.53. You shall receive a FK91391B. Full Gasket Sets. Belt Tensioner Wheels & Bkts. Suspension Ball Joints. Rear Lights. Front Exhausts Cats. Estimates can be provided beforehand but prices may differ upon ordering. Mirror Heads, Housing & Motors. Suitable for Part Number: BM80249H. Contents: 1 Clamp. Product Note: This is only suitable for our products. Warranty: N/A. RRP - £16.75. You shall receive a FK80249A. Lambda Sensors. KMS Parts Number. Full Gasket Sets. 24 Hour Dispatch. Belt Tensioner Wheels & Bkts. Wheel Bearing Kits. Minimum 12 Month Warranty. Suspension Ball Joints. This is an original quality part manufactured by Elring. Equivalent Part Numbers. Quantity Included:1. This is an original quality part manufactured by Elring. Quantity Included:1. Full Gasket Sets. Belt Tensioner Wheels & Bkts. Brake Master Cylinders. Suspension Ball Joints. Any claims after 24 hours cannot be accepted. Rear Lights. Front Exhausts Cats. Estimates can be provided beforehand but prices may differ upon ordering. AUDI 1K0253115T, 7H0253115B. SEAT 1K0253115T, 7H0253115B. SKODA 1K0253115T, 7H0253115B. VW 1K0253115T, 7H0253115B. 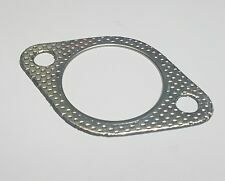 Exhaust Gasket AH6549 BGA. Part Number AH6549. Function Gasket, exhaust pipe. SEAT ALTEA XL (5P5, 5P8) 1.9 TDI MPV Diesel 10/2006 on FWD 8 105 77. Full Gasket Sets. Belt Tensioner Wheels & Bkts. Brake Master Cylinders. Suspension Ball Joints. Any claims after 24 hours cannot be accepted. Rear Lights. Front Exhausts Cats. SEAT : 04L253039G, SKODA : 04L253039B, SKODA : 04L253039G, VW : 04L253039B, VW : 04L253039G,, . Full Gasket Sets. Belt Tensioner Wheels & Bkts. Suspension Ball Joints. Any claims after 24 hours cannot be accepted. Rear Lights. Front Exhausts Cats. Estimates can be provided beforehand but prices may differ upon ordering. VICTOR REINZ : 714280200, ELRING : 223440, X5992501, . Full Gasket Sets. Belt Tensioner Wheels & Bkts. Suspension Ball Joints. Any claims after 24 hours cannot be accepted. Rear Lights. Front Exhausts Cats. 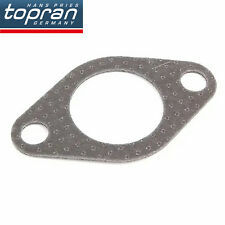 EM1014 FAI EXHAUST MANIFOLD GASKET (1PCS) fit AUDI A3 (8L1) 1.6 (AVU) 08/00-05/03. FAI Automotive plc has evolved out of motor sport, with its attendant high standards of technical, logistical and administrative efficiency. Full Gasket Sets. Belt Tensioner Wheels & Bkts. Suspension Ball Joints. Wheel Bearing Kits. Rear Lights. Front Exhausts Cats. Estimates can be provided beforehand but prices may differ upon ordering. TOPRAN : 108180, ELRING : 080900,, . Full Gasket Sets. Belt Tensioner Wheels & Bkts. Suspension Ball Joints. Wheel Bearing Kits. Rear Lights. Front Exhausts Cats. Estimates can be provided beforehand but prices may differ upon ordering. This is an original quality part manufactured by Elring. Equivalent Part Numbers. Full Gasket Sets. Wheel Bearing Kits. EXHAUST PIPE GASKET. You Save: 61%. Any claims after 24 hours cannot be accepted. Estimates can be provided beforehand but prices may differ upon ordering. The compatibility is only a guide. Full Gasket Sets. Belt Tensioner Wheels & Bkts. Suspension Ball Joints. Any claims after 24 hours cannot be accepted. Rear Lights. Front Exhausts Cats. WILMINK GROUP : WG1451267, AUDI : 03C 253 039 F, SEAT : 03C 253 039 F, SKODA : 03C 253 039 F, VW : 03C 253 039 F, FA1 : 411012, FA1 : 411022, GLASER : X8144601, GOETZE : 3103023400, GUARNITAUTO : 2147835205, HJS : 83113946, SWAG : 30945740, TOPRAN : 113936, AUDI : 03C253039F, SEAT : 03C253039F, SKODA : 03C253039F, VW : 03C253039F, 13225300, 460395P. Full Gasket Sets. Clutch Kits. Belt Tensioner Wheels & Bkts. Suspension Ball Joints. Any claims after 24 hours cannot be accepted. Rear Lights. Gasket Set. Front Exhausts Cats. Lambda Sensors. Full Gasket Sets. 24 Hour Dispatch. Belt Tensioner Wheels & Bkts. Wheel Bearing Kits. Minimum 12 Month Warranty. Suspension Ball Joints. EX PIPE GASKET. Then at our discretion we will decide the next course of action. Vehicle compatibility information is provided as a guide only by supplier. Faulty Products. There may be on occasions more than one compatible part for your vehicle.